Todd Blue has been CEO of The indiGO Auto Group since 2010. As the founder and CEO of the company, he also currently serves on indiGO’s board of directors. Todd began his career joining Luria Brother’s (a division of Connell Limited Partnership) Chicago office as an account executive in 1992 within its steel-mill-service and trading group. He later joined Louisville Scrap Material Company in 1994 where he served as Vice President of Commercial Trading. After partnering to purchase the company and its affiliates, he later sold most of its assets to Progress Rail for whom Todd served as the metals division’s Executive Vice President between 1998 & 2000. Todd joined Cobalt Ventures LLC (which he previously co-founded) full time in 2000. Cobalt is a strategic investor which also specializes in urban real estate development, management, and parking. Starting by collecting cars in 2005, Todd consciously turned this passion for automobiles into a vocation when he formed indiGO Classic Cars in 2006. Originally purchasing and selling post-war European sports cars, the company became the indiGO Auto Group when it acquired Porsche North Houston in 2010 and Lamborghini Houston in 2011. 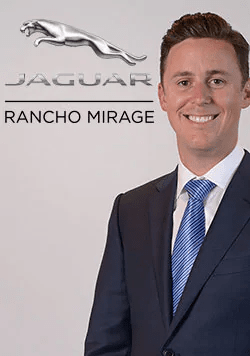 Rancho Mirage’s Desert European Motorcars (which includes franchises for Porsche, Audi, Jaguar, Land Rover, Rolls-Royce, Aston Martin, Maserati, Bentley and McLaren) was acquired by indiGO in 2013. In 2015, Todd consolidated two former Porsche dealerships in St. Louis, MO to form Porsche St. Louis. BMW of Palm Springs and Bugatti Houston (Bugatti Houston was later sold by indiGO) were added in 2016. In July 2017, indiGO was awarded the Rolls-Royce North Houston franchise. In October of 2017, Todd formed a strategic alliance with Pon Holdings of the Netherlands. With this transaction, Pon became the largest investor in the indiGO Auto Group. Todd currently sits on the Porsche Cars North America Board of Regents where he has represented both the Southern and Central regions. 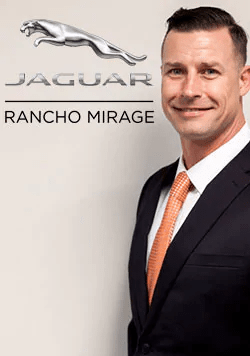 Todd previously served on the Aston Martin of the Americas Dealer Advisory Panel and the BMW Western Region Business Council. 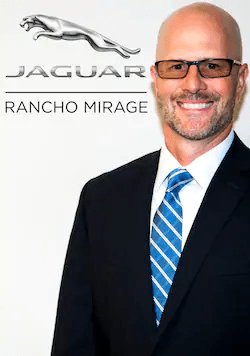 Some of Todd’s proudest achievements as CEO include indiGO being recognized by Automotive News as one of the Best Dealerships to Work for in 2015 and co-founding the indiGO Drive4Kids which has supported Texas Children’s Hospital, The Bianca Rae Foundation (in support of the Rae of Hope retreat) and The Barbara Sinatra Children’s Center. Todd has been a member of the Young President’s Organization since 2003. He also serves on Houston’s St. John’s School Investment Committee. Todd has been a multi-year supporter of Houston’s Youth Maccabi Sports programs as well as the 11-99 Foundation, which provides emergency benefits in times of crisis to California Highway Patrol employees and their families. Todd’s is a member of the National Automobile Dealers Association and the Houston Automobile Dealers Association. Previously Todd served on boards for eMain USA, the Kentucky Economic Development Partnership, the Louisville Arena Authority, Downtown Development Corporation, The Center for Interfaith Relations, The Jewish Outreach Institute (New York), and The Kentucky Country Day School. Todd was recognized by The Business Journals Business First as a “Forty Under 40” in 2003. In 2004, Todd was awarded the Governor of Kentucky’s Economic Development Leadership Award by then Governor Ernie Fletcher. Todd and his wife Karen both serve on the indiGO Blue Family Foundation board and are award-winners of The Lewis W. Cole Memorial Young Leadership Award. They have three children. Todd received a B.A. in International Business from The George Washington University in 1992. 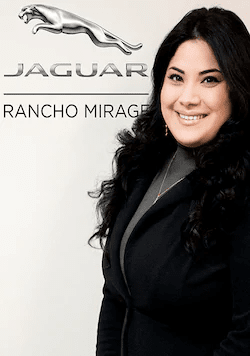 Kelly Wolf is the Chief Operating Officer of indiGO Auto Group, a company with dealerships in Rancho Mirage, California; Palm Springs, California; St. Louis, Missouri; and Houston, Texas. Mr. Wolf leads automotive groups sales and the fixed operations teams, keeping the focus on delivering the highest level of customer care and creating opportunities for our customers to activate their ownership through a variety of community events, driving experiences and fundraising opportunities. 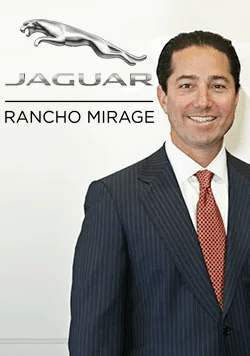 As Chief Operating Officer, Mr. Wolf manages Desert European Motorcars, Southern California’s premier luxury automotive dealership with brands including Audi, Rolls-Royce Motor Cars, Bentley, Aston Martin, Jaguar, Land Rover, Porsche, and Maserati, and he manages the company’s newest acquisition, BMW of Palm Springs. 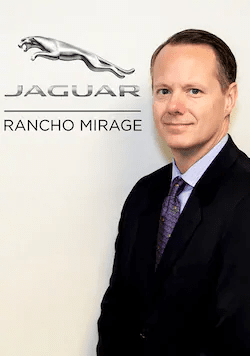 He is also the General Manager of indiGO Auto Group Texas, which includes Porsche of North Houston, Lamborghini Houston, Bugatti Houston and indiGO Classic Cars. Mr. Wolf has over a decade of high-end automotive sales and management experience, and he works alongside our Chairman and CEO, Todd Blue. Mr. Wolf’s management style has enabled indiGO Auto Group to expand its sales footprint across the United States. Mr. Wolf is a native Texan and a graduate of The University of Texas, Austin. He enjoys spending time with his wife, Jacee and their two children. 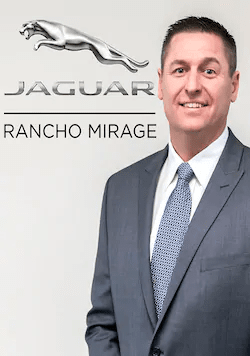 Mike leads the Jaguar Rancho Mirage team as General Manager. 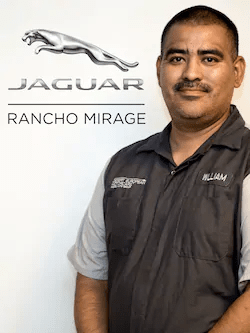 He shares with his team a strong passion for automobiles, and the belief of providing the very best level of customer service. He has worked his way up from a porter at the age of 15 into sales with Mercedes-Benz, Porsche, and now Audi. “I am very fortunate to be a part of such a progressive, and innovative brand such as Audi.” Mike has grown up around the automobile industry, having had a Father, Uncle, and Grandfather in the business before him. Mike moved to the Coachella Valley from Houston, Texas and is joined by his wife Rachel, and daughter Olivia. Michael obtained his BA in Political Science and his Doctorate in Law. He has over 13 years in the Automotive Industry. He has been named Finance Manager of the Year, Team Lead of the Year and Employee of the Year. When not at work, he enjoys cooking, rugby and playing with the 2 dogs. Alan graduated from Rochester Institute of Technology with a degree in Business Administration. After college, he worked as a Manager for manufacturers supplying furniture to Resorts, hotels and high end retail stores. 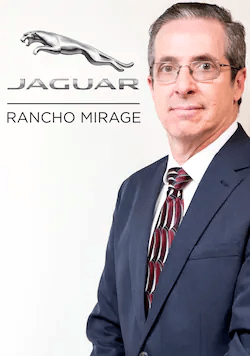 Alan wanted to expand his experience and went into the Automobile Industry, moving from LA to Palm Springs to work for Desert European Motorcars. 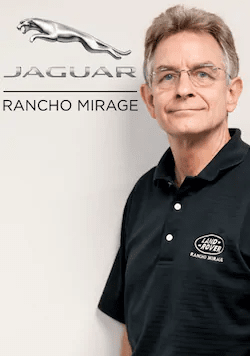 He truly enjoys the Automobile Industry and the brands that they represent, especially Jaguar and Land Rover. He spends his free time on the tennis courts with his partner or taking their Weimaraner to the park. 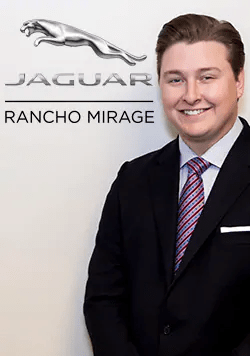 David grew up in the auto industry, with his first summer job as a Lot Attendant and his dad owning a dealership in Las Vegas, he comes to Desert European Motorcars with a wealth of knowledge. 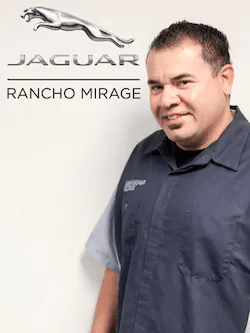 David has over sixteen years of experience and specializes in highline pre-owned vehicles. When not attending weekly auctions, David enjoys spending his free time with his wife and two beautiful daughters. 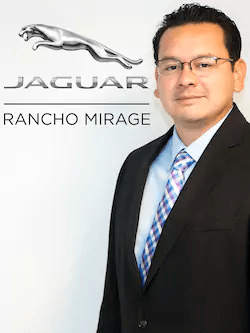 Davin moved to the desert in 1999 for a summer job in car sale and was promoted to finance within just a few short months and has made that move permanent which has put him in the finance department since 2000. Davin graduated from San Diego State University with a BA in history and has received additional sales training with the Joe Verde group and graduated from the Rehard and Associates finance school in Salt Lake City, Utah. His father was a Captain the Navy and they have traveled all over the U.S along with a three year stay in Iceland. Davin played Rugby for the San Diego State Aztecs for four years and still enjoys playing when he visits San Diego on Occasion. In his spare time, Davin enjoys spending time with his wife, Cherette, and two children, Logan and Trista. 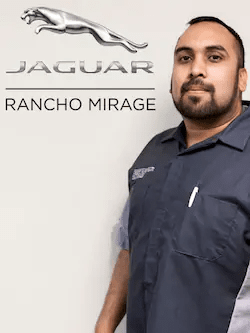 Luis has an extensive background in the automotive industry. 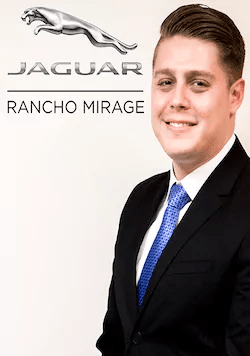 His background consists of 6 years in sales and 2 years with internet sales for Palm Springs motors. During his spare time, Luis enjoys spending time with his wife and three children, together they love doing outdoor activities. on has been in the automotive business in Southern California for over 18 years. Starting with such brands as Porsche, VW, Audi, and Volvo. He spent 9 years as the GSM for the largest marketing in the U.S. representing Bentley, Rolls Royce Motorcars, Aston Martin, and Lamborghini. Receiving honors over the years from Bentley, Porsche, and Audi due to his sales and management ability. When the opportunity to join indiGO Auto Group was presented, Jon made the quick move to the desert. The history of his ability and desire to take care of each del like it is his family member will only take this incredible company to another level in customer appreciation. If he is not at work, he is with his 4 amazing teenage children. This alone keeps his problem solving skills on point. Where they are snow skiing all over the west coast in winter or playing at a lake in the summer, he will still be reachable by phone to help when needed. 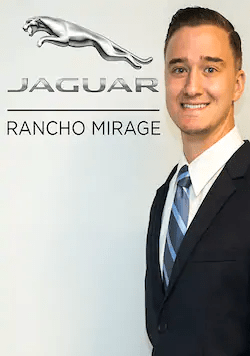 Zach began his sales career as a porter then quickly transitioned to service before taking on the sales floor with us at Land Rover and Jaguar Rancho Mirage. He is very active outside of work. He says he loves going to the gym, playing basketball and racing cars. Fun fact: Zach has a twin who also works in sales for indiGO Auto Group! Gabe graduated from the University of Arkansas at Pine Bluff. While attending school, he played Division 1 baseball. 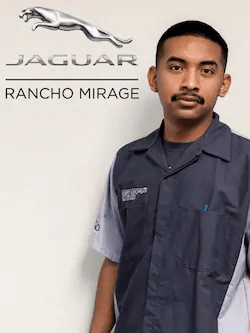 This is his first job in the automotive industry and is excited to master the Jaguar brand. In his spare time, he enjoys playing golf and spending time with his family. 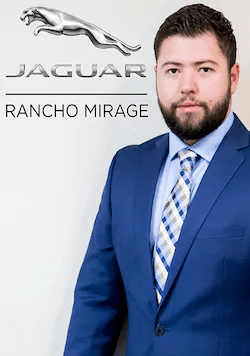 Chayse joins our Land Rover team as an Economics major from Sierra College, along with experience as a real estate agent and auctioneer at Golden State Auctions inc. 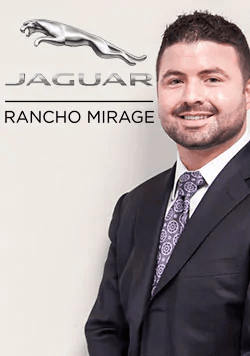 Previous to Land Rover, Chayse was a sales consultant for many other brands such as Ford, Lincoln and Mazda. He is a BMW enthusiast, being a former professional rider and also enjoys playing golf for fun and spending time with his wife, Carrie. I was born and raised in the Coachella valley. I have over 10 years in customer service which has helped me form a strong relationship with many desert dwellers. I am an avid car enthusiast and love everything about them. In my spare time, I enjoy snowboarding, working on cars and spending time with family. My love for cars and my passion for helping people is my recipe for success at indigo auto group. 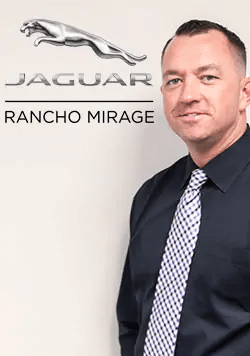 Greg brings over 20 years of sales and management experience on board to our Jaguar Rancho Mirage team. He attended Oregon State University and has also served in the US Coast Guard prior to his involvement in the auto industry. His interests outside of work consist of tennis, waterskiing and spending time with his loved ones! Berenice has been with Desert European for over 13 years. She admires what the company stands for and believes in continual growth with them. She previously worked as a boutique manager for all IndiGO brands and loves every aspect of it. She is excited for her new position as Encore Delivery Specialist as she feels that it is something challenging. During her spare time, she loves weight lifting, traveling, and living a healthy and strong lifestyle. She also loves spending time with her family and friends. Overall, she loves staying positive and living a balanced lifestyle. Jackie earned her degree from College of the Desert. 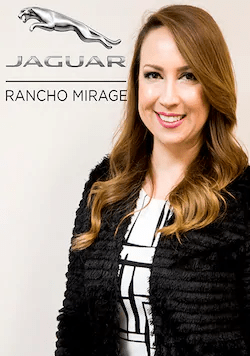 She has spent over 8 years providing the Coachella Valley with customer service. She is always striving to make the best and exceptional experience for her customers. She enjoys spending time and building memories with her family. She also enjoys cooking, and going on outdoor adventures. She looks forward to growing with the IndiGO Auto Group and take on new challenges. Michael grew up in the northern parts of Vermont and has been in the customer satisfaction business since 1990. He started his career with a Goodyear Tire store in St. Johnsbury, Vermont where the population is small, so customer satisfaction is more than just a phrase, it’s a requirement. Word travels fast in a small community and one’s reputation is important. 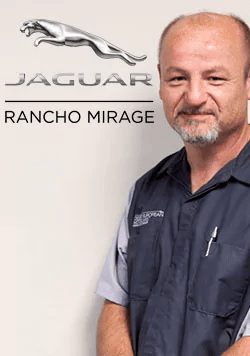 Michael has over 23 years of service experience and has been part of the Desert European team for 3 years. He recently returned this past September from a short stint at a local dealer. He is so pleased to be back and looks forward to many more years. His main love, besides his wife of 28 years and 3 kids and working with cars, is music. Michael has lead a few classic rock cover bands throughout the Riverside and Coachella Valley area and can be found singing on any given weekend at a local dive bar or upscale theater. Chad started in the auto industry in 1999 as a porter, lead porter, a lube tech, then a service advisor. He enjoys working at Desert European because of the great senior leadership! In his spare time, Chad enjoys photography, cooking, BBQ, playing golf, and is a huge sports fan. 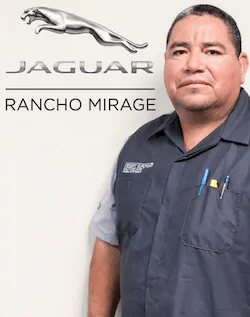 David has worked in the automotive parts business for over thirty-six years, working diligently with multiple brands of vehicles. He has been here at Desert European for seventeen of those years. 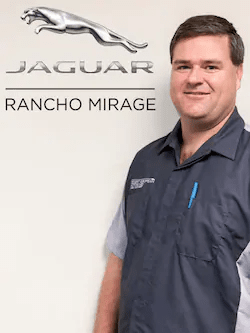 He is currently the parts manager for our Land Rover Center. During David’s time off from work, he enjoys camping, family time, and the opportunity to discover new things. Gil enjoys the automotive business. He has previously worked with OEMs such as Cadillac, Nissan and Chevrolet. In his spare time he enjoys attending car and off-road events. 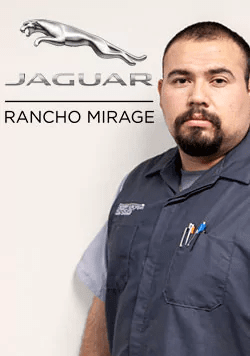 Casey is an ASE Master Technician, as well as a Land Rover Master Technician. He has graduated from specialty schools for engine emissions and has taken every course the Land Rover Academy has to offer. He continually keeps up to date with the newest technologies as the come out. 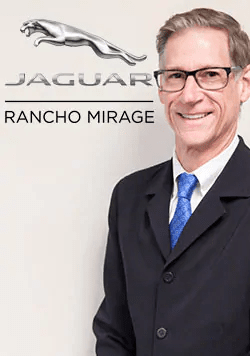 After falling in love with Land Rover at an independent workshop, he worked at dealerships all across California before settling at Land Rover Rancho Mirage. Outside of work, Casey enjoys off-roading, playing softball with his co-workers, bowling, boating, dirt bike riding, and going to the movie’s. Casey has been with the Land Rover Brand for over 20 years, he stays because he loves the product, the people, and the lifestyle. “I think it’s impossible to fail, I feel there is nothing I can’t fix, if you give me the time. When times get tough, I just remember that it is what it is.” -Casey Diggins. Reinhold has been with Desert European since 2007. 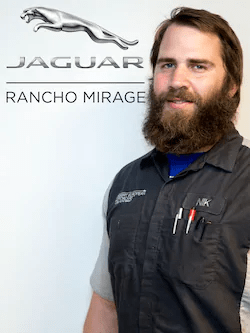 Before coming to Desert European, Reinhold was a Jaguar Technician in Austria. 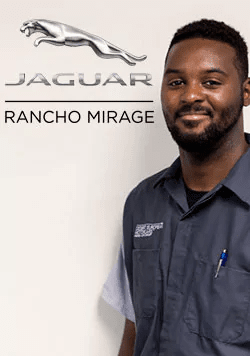 Montrell comes to Desert European with many years experience in the industry and studied at UTI, like many of our other technicians. 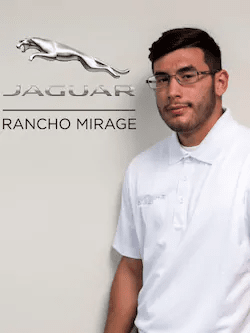 He is excited to see what his future holds here at Desert European and loves the Jaguar brand. Montrell has played Semi Pro Football in the desert and won championships with the Coyotes and Chiefs football teams. We are happy to have Montrell as part of our service team. William attended Wyotech, studying Automotive and Diesel Technologies. His background led him to a career working for Land Rover for over 6 years. He will continue his passion as a tech. During his spare time, he loves coaching and outdoor sports. 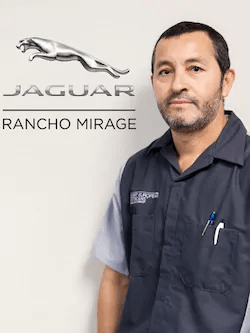 Armando is a Jaguar Gold Certified Tech and has been with Desert European since 2001. Armando enjoys traveling and spending time with his family in his spare time.